The moment I heard that he would be in Atlanta it wasn't a question. I bought two tickets with no concern who the second would be for. I had to be there and I'm so glad that me and my BFF from back home were able to be in his presence. First things first. The show opened with a trio (plus drummer) called Tha Boogie. The music, fresh, their energy high octane, the sound I would call the funky future. I quite enjoyed the set, because they aren't playing what you hear on the radio (if you listen to such things). You can check them out on their Myspace. Now for the main event. 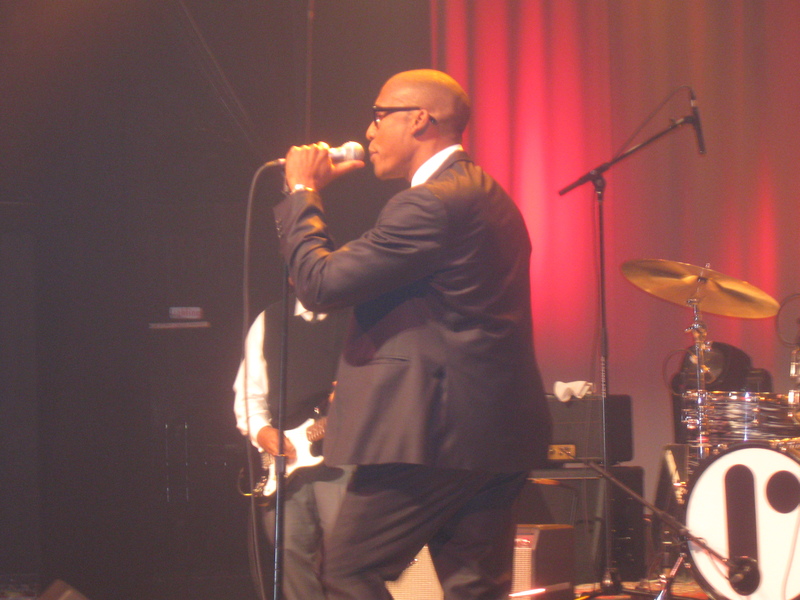 The lights dropped, the band, then the two back-ups then Saadiq, in his 60's David Ruffin-ish glory. Let me first gush, he looked fantastic, but as good as he looked, the performance was the star. The tour is in support of his most recent output, The Way I See It. The set included The Way See It nearly in its entirety, with a standout extended performance of Big Easy, inspired by post-Katrina New Orleans. The band killed this one, in the sense that the sound put you right down in the heart of Big Easy. The performance was also sprinkled with hits from Tony Toni Tone, including Lay Your Head on My Pillow, Anniversary, Lucy Pearl I Wanna Dance Tonight and cuts from his solo debut Instant Vintage, You Should Be Here, Still Ray and closed out the show post encore with an extended play of Skyy Can You Feel Me. The performance from the opening act to the close of Saadiq's set was fantastic. The energy, was high throughout, his female backup singer an absolute spitfire and his keyboardist, surprised every when he started BLOWING out of the blue on Can you Feel Me. What I would have liked to see more of? Energy from the crowd. As a middle age person, who's first concert was Parliament/Funkadelic and is used to dancing for an entire show (which I did) I was disappointed at how some of the crowd on the floor were barely bobbing their heads. What I would like to have heard more of? Music. Most curious thing about the show? Not really curious but Saadiq is wildly averse to cameras during the performance. I had my BFF working one for me (He's tall) we got our shots and put it away out of respect, but the crowd on the floor was soooo focused on getting the money shot, I'm not so sure they enjoyed the show. Anytime the cameras were shooting, Saadiq was dancing, moving and spinning in the other direction. He even called out (in a very nice way) one particular photog offender. The beauty of the end? After he and his band left it all on the floor. Saadiq shook hands, signed autographs and posed for phone pictures. In all, this continues a string of great performances that I've witnessed at Variety Playhouse. Saadiq et all, held it down. If he comes through your town (he's heading to Europe now), put your money down on some tickets. Just make sure you put your dancing shoes on and your cameras down.